Hard to think, but Scotland's race track in the clouds enters its 45th season this year when the Scottish motor racing season opens for business on Sunday 7th April at Knockhill. To mark the occasion, the Commentary Tower will be re-named, the Garry Stagg Tower. 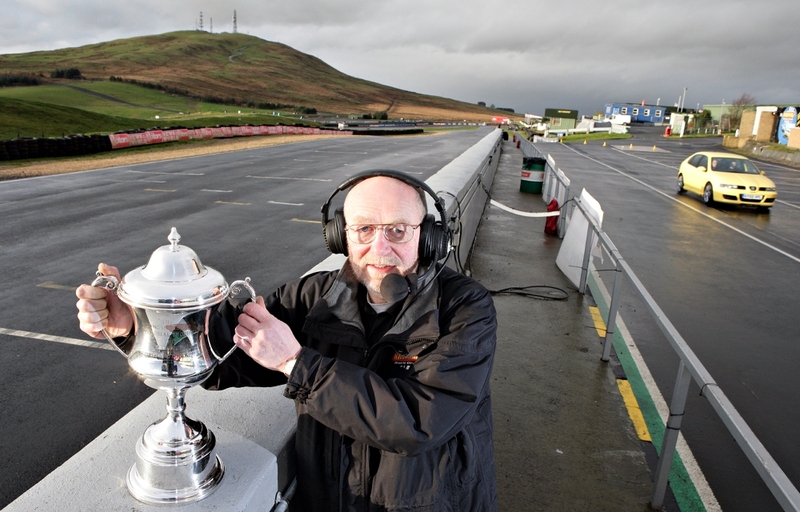 For over 30 years Garry was the voice of Knockhill, commentating on car, bike and rally events as well as the various exhibitions, shows and gatherings which the circuit hosted. Sadly, he and his wife were involved in a life changing motorcycle road accident in the summer of 2017 which forced his retirement from Knockhill. To this day, they are both still receiving specialist medical care. To honour his commitment and services to Knockhill and in particular commentary, the iconic Commentary Tower is being named in his honour. Garry wasn't just a commentator. He was DJ and audio technician, an electrician and even a plumber on occasion. 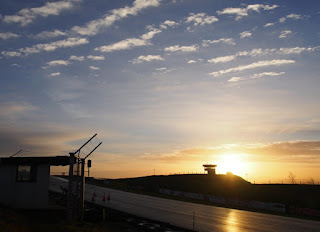 He would turn his hand to anything, and often was the last man out of Knockhill in the evening. 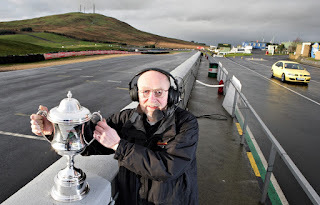 It was Garry who installed the original PA system at the circuit in the days when a certain young Motoring News race reporter was asked to provide commentary at some of the race meetings, and latterly some of the rallies there as well when he was switched to rally reporting. Murray Walker and James Hunt they weren't! 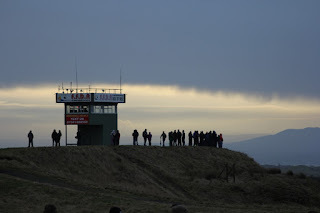 In those days, the commentary tower resembled a Glasgow pigeon loft on peelly waally legs. It actually swayed in the wind. There was no heating or air-con, instead a sliced potato was used to wipe down the inside of the windows to reduce the condensation - and it worked, mostly! Aye, them were't days. The new Commentary Tower is a much more substantial building these days with all the best of technology, but I'll miss the drafts and the frostbite, the inside ladder before stairs were built, and of course, the spiders. So think of Garry this coming weekend and I'm sure we all wish him and his wife well through their ongoing trials. Here's hoping we see him back in the Summer.